Drawing their inspiration from the vast ocean of Turkish music, Melbourne based group Bashka are creating a new genre which slips between east and west with natural ease. Musically spanning two continents and many centuries Bashka explore the contrast between east and west, composed and improvised, original and traditional, acoustic and digital. The group was created in late 2014 by Murat Yucel and Alisha Brooks (Unified Gecko, Baro Banda) both of whom have toured extensively throughout Turkey, Europe and Australia. They recently joined forces with ELF Tranzporter and their live performances are energised with a truly new sound combined with the delicacy of traditional Turkish instruments and master players. Live samples and loops merge seamlessly with ancient acoustic and modern western instruments to create music which brings to life old folk songs, gypsy ballads and dance music from the dirt streets of old Turkey. 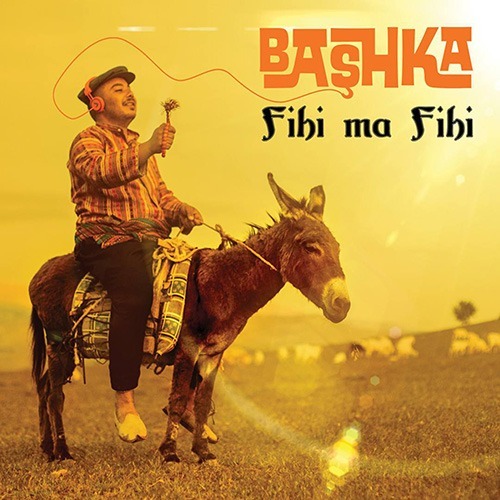 The difficulty of categorising this album is reflected in its title ‘Fihi ma Fihi’ which means ‘It is what it is’. It is anything and everything between very traditional Turkish sufi sounds to gypsy electronica and beyond. ‘Fihi ma Fihi’ is a journey stretching from Turkey to Australia. Produced in Melbourne and mixed in Paris it features over 30 outstanding musicians from Australia, Turkey, France and the UK. The thread of ancient music weaves throughout a distinctly modern and original sound and conjures images of far-flung places and the bands’ local stomping ground of Melbourne. Album was nominated Best World/Reggae Album by Age & Music Victoria.